It’s never easy to shop for a new mattress. After all, there are so many choices that you have to make, and it can always be nerve wracking whenever you are making a large purchase. When you’re interested in making sure as many of the products you use are organic or natural, then it can be an even bigger challenge to find the best mattress. We recognize that it’s important to have access to all-natural and organic products, and there’s no reason why your mattress should be any different. The recent innovations in mattress construction have included plenty of attention paid to providing greener and more eco-friendly products. In order to aid your search, we’ve put together this list of the best natural and organic mattresses. This guide will discuss the increasing popularity of natural and organic mattress, help you understand what makes a natural organic, address concerns about flammability standards, discuss some of the benefits of organic materials, and go over the different options for organic mattress construction. 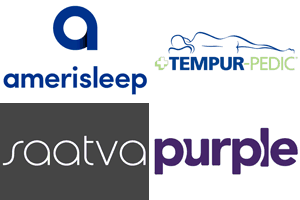 Finally, we’ll end with a list of the best natural and organic mattresses on the market today. As people have become more aware of the effect the decisions they make has on the world around them, there’s been a surge in demand for natural and organic products in nearly every industry. For mattresses, one of the biggest motivators for more natural alternatives relate to laws that mandate how resistant to flame a mattress has to be. In the 1970’s a mattress had to be flame resistant enough to resist a smoldering cigarette, but in 2007, the law became stricter. The way that many companies responded was to use different chemical flame retardants, but the chemicals used to prevent fires cause some people to worry. Therefore, people are increasingly looking to natural and organic mattresses. With any product, there is a range of how much of the product is considered natural or organic. Therefore, a mattress can be anywhere from 0% organic/natural to 100% organic natural. The closer you get to 100% organic/natural, the more money you should expect to pay for your mattress. If you’re trying to be green on a budget, then you may want to consider looking for a mattress in the 20%-50% natural/organic range. There are lots of mattresses that fall within these guidelines. 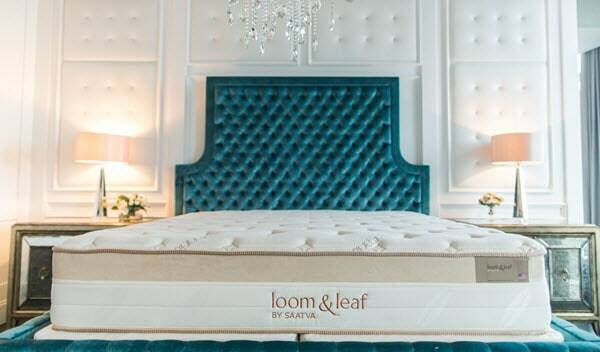 One of our favorite mattresses that fits in this range is the Loom & Leaf. This mattress uses natural thistle in its cover, which acts as a fire barrier. The cover is also made from organic cotton, and the foams are made with plant based materials. While it may seem difficult to find natural materials that are flame-resistant enough to stand up to a lit match or glowing lighter, but there’s a surprising number of materials in nature that are extremely resistant to flame. The thistle fibers used in the Loom & Leaf are a good example. 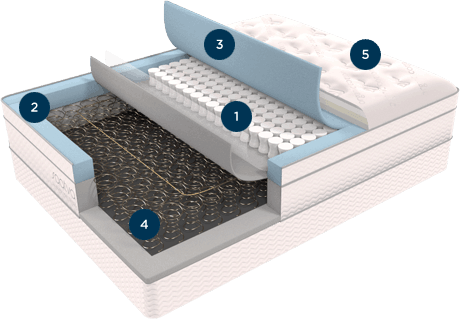 Other mattresses use silica-based fire socks. These melt in response to fire, denying the fire oxygen and smothering it. Other natural materials, like thistle and wool, behave in a similar way around fire, and thus can be used to prevent mattress fires. In order to call itself organic, a mattress must be certified by a USDA-approved third-party testing agent. There are a few different types of certifications that a mattress can earn, and most of them refer to the quantity of raw and organic based materials and processes that are used in the mattress’s construction. Hypo-allergenic – natural materials are less likely to cause allergic reactions or skin irritation than harsh chemicals. Many different types of mattress construction can be made in an organic or natural way. We’ve listed some of the most popular so you can get a better idea of what to look for in an organic or natural mattress. While there isn’t such a thing as 100% organic memory foam, as memory foam is made from polyurethane, there are ways to create more natural memory foams by using plant-derived oils and glues. This reduces the chemical content of the memory foam, producing a more natural mattress. Poly foam has a similar situation as memory foam. Technically, you cannot have a 100% organic poly foam because a poly foam requires polyurethane. 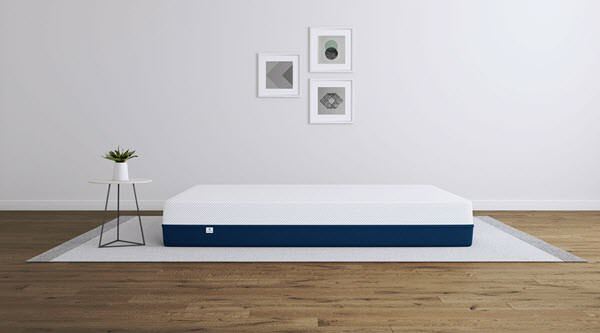 However, many companies have found ways to green their poly foam, using plant oils and plant-derived glues to make the mattress more eco-friendly and healthy. While latex mattress are foam-based, just like polyfoam and memory foam mattresses, latex can be made from 100% organic materials and processes. That’s because latex doesn’t use polyurethane, and instead comes from natural sap from rubber trees. There are a few different types of latex, and, like every other material, they exist on a spectrum of natural/organicness. The closer you get to 100% organic latex, the more expensive the mattress will be. After all, it takes a lot of sap to get enough latex to make an entire mattress. There are two main productions methods for latex, Dunlop, and Talalay. Both methods can be use with all natural or 100% organic latex, so don’t think that certain construction methods necessarily speak to how green a mattress is. Coil mattresses can be organic if the fiber they use is made from organic cotton or wool. While the metal used in the coil springs isn’t organic, and will have some impact on the environment because of mining and processing, you can still do a great job reducing the ecological footprint of an innerspring mattress while also making a comfortable bed.